Apple has ditched its iconic MacBook Startup chime for its new MacBook Pro. 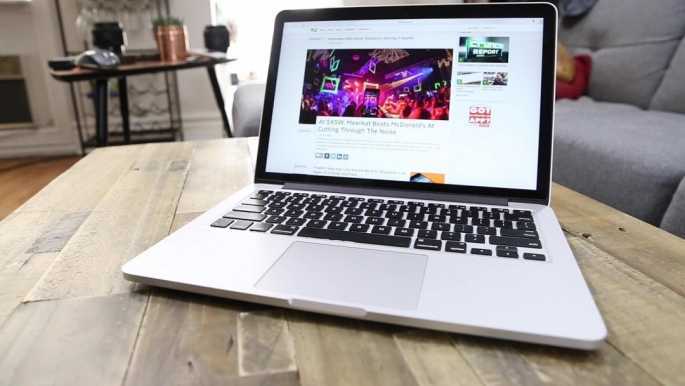 The MacBooks have come under a lot of change since 1998, but one thing continued to remain the same and that was the chime signaling that the laptop has begun to boot. However, the new MacBook Pro says goodbye to the distinctive chime. Pingie.com initially observed this change, when it noticed that a particular FAQ page connected to the new MacBook Pro did not mention this sound. The disappearance of the sound was later confirmed on a working new version MacBook Pro. Another Mac user by the name of Dan noted the lack of the sound description in the support notes that were issued for describing ways to reset the NVRAM on the 2016 Mac Book Pro devices. The chime heard during the startup or booting of the Macs was a standard fixture from 1990. The chime informs the user that everything is fine and there are no problems with the device while starting to boot up. By eliminating the chime, it could become more difficult to diagnose a technical problem in the new device. However, the upside to the change is that people will no longer be making a loud noise in the meeting room or classroom or any other public place. This is especially so, as Apple has made tweaks to the new laptops that turn on as soon as the user opens them, despite being shut down completely. Over the years, the chime has seen some changes and the present chime were used from the iMac G3 times. The company then registered the sound as a trademark in the year 2012. The sound has been described as a synthesizer that plays a G Flat/F Sharp, major chord. The sound has been immortalized in the film Wall E, released in 2008, where a robot made use of solar panels for recharging itself. The sound has become so synonymous with Apple’s desktop and laptops that they filed a trademark for it, as mentioned above. The familiar chime that used to invigorate users signaling that the MacBook is starting to boot up without problems, is now officially dead. That is to say, it is dead for the new devices of MacBook Pro. However, the chime will still be available on the old MacBooks, desktops and so on. The latest MacBook Pro that was unveiled recently will ditch the sound that many fans have grown to love. Apple has not made any direct reference or comments on the elimination of the chime in the new MacBook Pro devices. However, the removal does make some sense, as the new MacBook Pro laptops automatically start the booting process when the lid is opened, states 9to5Mac. There is no need to press any button for booting and the elimination of the sound allows users to open their laptops quietly without announcing to the world that you are opening your computer. Despite all the justifications, the loss of this classical chime is a part of Apple’s rich history and fans will surely miss it.